You must know that the world is not such a simple place to live in. There are several issues faced by the world every day including scams, fake identity, infidelity, investment frauds, and embezzlement’s, and so on. But for laymen like you, it will not always be possible to seek the truth. Hence, you need professional experts like private detectives of investigators to throw light on the truth. We, at Michael McKeever, are a private detective investigation service that has substantial experience in dealing with various matters such as litigation defense, insurance cases, computer forensics, domestic investigations, surveillance etc. With our highly trained team and unbeatable reputation, we have created a solid customer base in areas like Manhattan, New York, NY, and NYC. Therefore, if you require a private investigator, you should come to us without any hesitation. Here, we have put together a list of tasks that you can accomplish with the help of an expert investigator. Take a look. 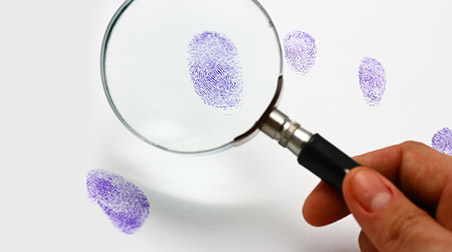 Do you need to run a pre-employment background check for your prospective employees? An expert investigator can provide you with all the relevant information about a person’s professional and personal records. So, hire a reliable expert and be safe from any dangerous threat or regretful situation in your business. Do you need to monitor someone’s activities? Are you suspecting your spouse of cheating on you? Or do need to find the truth behind any corporate fraud? All private eyes can conduct expert surveillance on various situations. So, this is another pivotal task for which you can hire them. Insurance cases can be quite complex, and such investigations require the professional expertise of a private detective or investigator only. He or she can make use of records, surveillance, and research to any kind of insurance frauds. Therefore, if you require any such service, you can resort to an adept investigator near you. Apart from this, there are many domestic and corporate matters where you may seek the assistance of private investigators. If you want to hire our investigators and detectives, you can call us at 212-226-0358 now.